8°C, W winds, no clouds (yesterday) CK:44 miles. They don’t get as much showery weather as us- it’s the coastal climate I’d say. To pay back for that, there are the stronger westerly winds. Nice long cycle ride in the black flatlands of Lancashire. The 42×17 is just right for that landscape, I have finally decided. In an ideal world, I’d change the handlebars for slightly wider ones 44cm ones (like my other bikes). Wider bars feel right when out of the saddle “honking”. 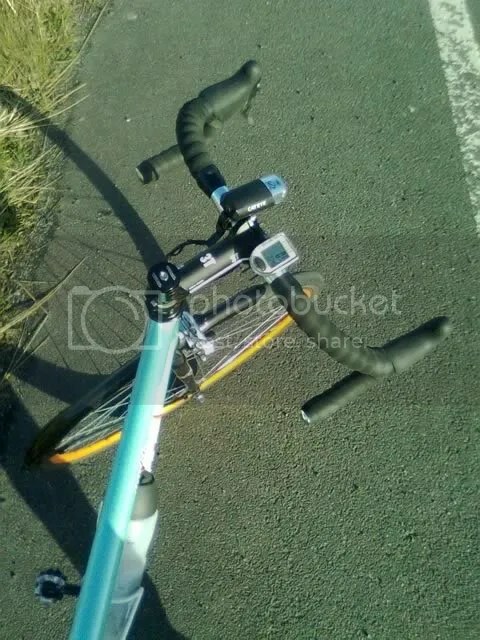 This entry was posted in Cycling and tagged Lancashire, Single-speed bicycle, winter training. Bookmark the permalink.